You know what those 4 things (Double chins, cellulite, stretch marks and stomach rolls) have in common? They are all normal. And i also have all 4 things. I am a healthy weight, healthy bmi and a healthy fat percent and when i sit down i get stomach rolls and get a doublechin in certain angles as well as having cellulite on the back of my legs and faded stretch marks on my legs. And you know what... its ok. I am not complaining, i am simple stating because these things are not a huge deal even if it feels like everyone else makes them a huge deal. And before anyone comments, i am aware that people who are bigger than me might have more of these things but you know what... . who cares? Its just how the body naturally looks. Your body needs fat for survival and protection, having fat on your body is essential. Your stomach is not supposed to be flat when you sit down because there are organs there which need space as well as the skin folding over, because what else is it supposed to do? And cellulite is just what the skin does in certain areas of fat storage. Even if media tries to make cellulite look like the worst thing possible, it really isnt... If cellulite is the worst thing about your body or something that makes you sad, well then your problems really arent that bad. I used to be really self conscious about the cellulite on the back of my legs as well as i remember when i first saw the white stretch marks on my legs and it made me panicked. But then i realised that you know what, those stretch marks are a sign that my legs are strong, that my leg muscles/strength grew at a pace that my skin couldnt keep up with andin the end what does those marks really matter? You panic about the birth marks on your skin so why panic about things like stretch marks? You only think they are negative or ugly because media has told us that they are. Double chins and stretch marks and stomach rolls arent flaws, they arent something we need to be embarrassed or ashamed about, they arent something we need to hide either. Its something that we should just embrace and accept. Walking around and hating yourself wont lead to anything good, it will just lead to self hate and detrimental acts or self harm in the pursuit of a perfect body. Accept the body you have and realise that no one looks like they do in pictures. Its all angles and light and posing. Less comparing yourself to others and more love about yourself and your own body. You wont ever look like someone else, so stop trying to. Its ok to have things you might want to change but it shouldnt take over your life and you shouldnt hate yourself just because there is something you might wish looked differently. Dont let your whole life revolve around a thigh gap and a flat stomach, that is just taking up your energy, when you could instead use that energy towards something better!! Focus on self love and when it comes to exercise, its better to have goals such as improving strength or technique or speed instead of just exercising to reach a certain fat % because a certain fat % or a certain number on the scale wont bring lasting happiness or fullfillment. Embrace your body. Accept your body and learn to love your body. Its a process, but why not start by looking in the mirror and telling yourself that you are beautiful? And maybe deleting the accounts that make you feel negative about yourself or you compare yourself to people? Focus on your own beauty while also seeing the beauty in others!! 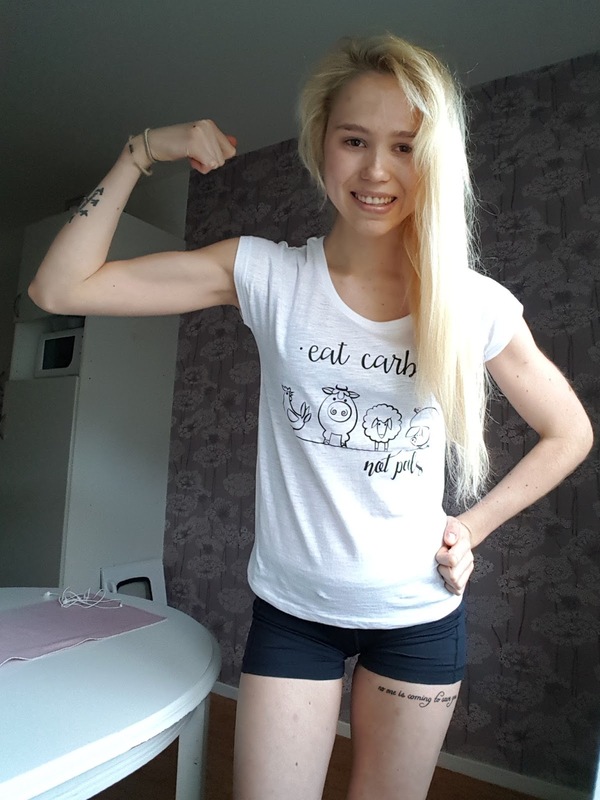 I am still struggling with anorexia and I am showing a lot of signs of ED. For example, my biggest fear is eating a fear food.. Can you plz write about the advise of overcoming a fear food? For example I drink coffee without any problems, but when it comes to drinking cocoa, I become panicked and really afraid.. And I have one big problem about drinking- I have a strong belief that if I drink during the meal, I will get fat. So I always drink just before the meal.